The ALL Florida Online Corvette Club - View Single Post - It is the citrus season! 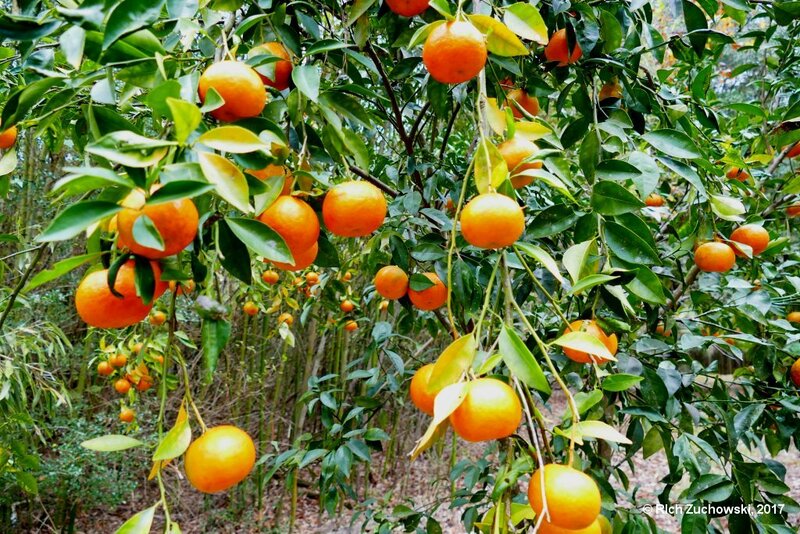 Thread: It is the citrus season! It is the citrus season! 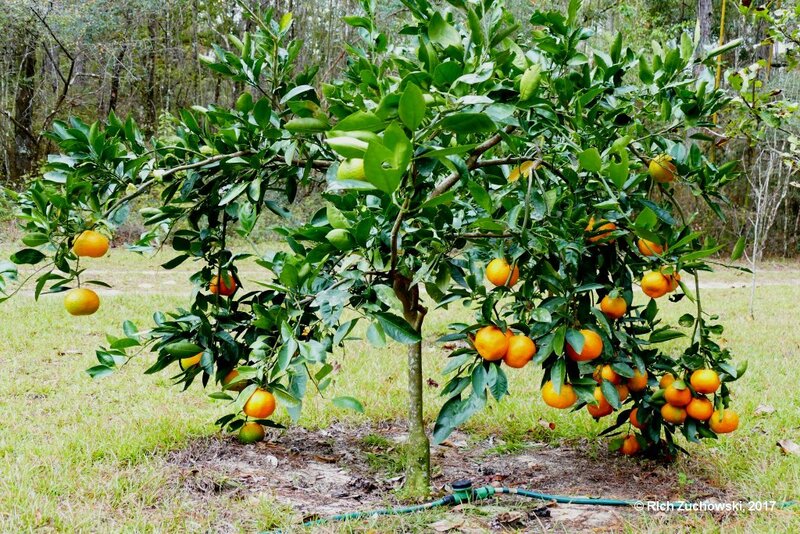 Connie and I look forward to this time of year because of our citrus finally ripening. 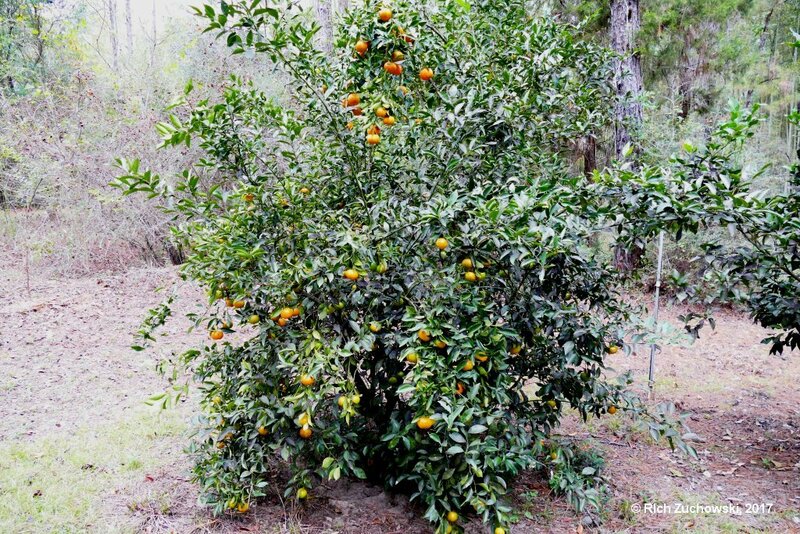 One of the real joys of being here in Florida is to be able to grow this stuff, and just take a walk outside, pluck a few tangerines off of a tree, and eat them while walking around the property. And the really cool thing is that we now have quite a few trees growing around the property that resulted from just spitting those seeds out onto the ground randomly. Matter of fact, the third picture in this series is of a tree that grew from a seed spit out some 20 odd years ago. So the seeds being spread around now will create a third generation of them. 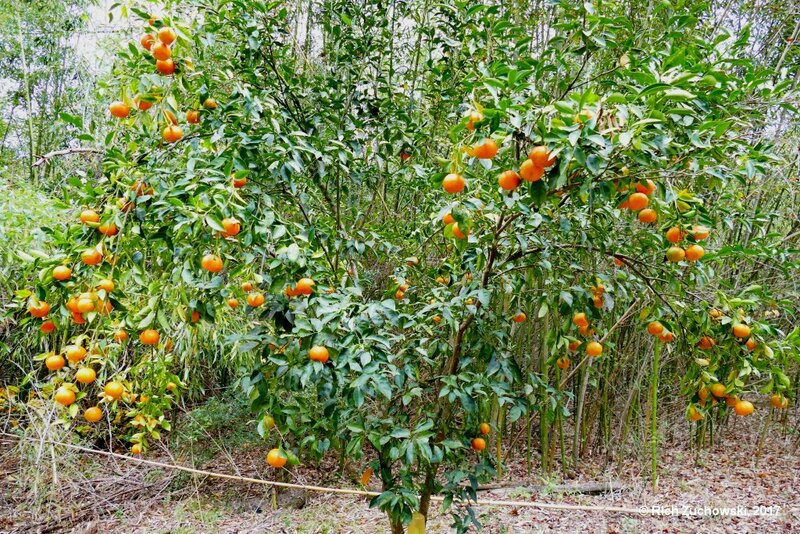 These are Changshi (or Changsha) which is a type of Satsuma, I believe, and they grow true from seed. 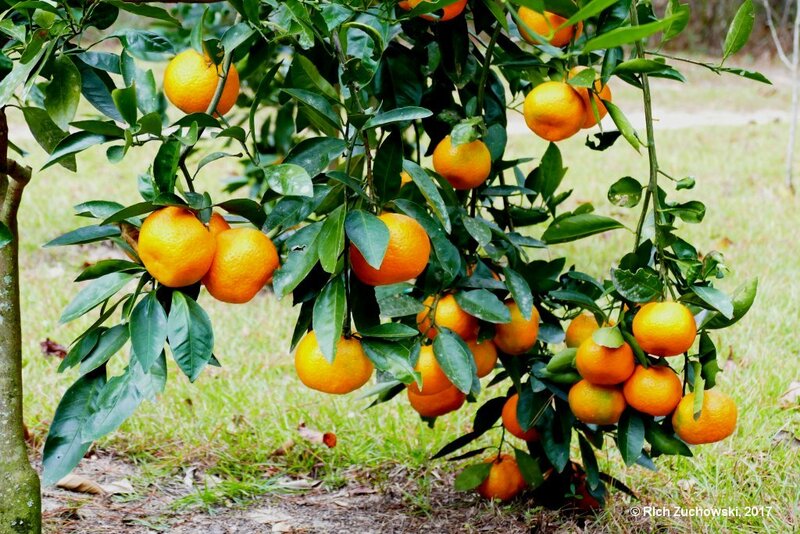 Not all of the citrus has ripened yet, as we have several locations and they all seem to ripen at different times. Which is great, because that spreads the "eating" season out over a much longer period of time. Now with any luck, we won't have a hard freeze come through and wipe out all the fruit, or have a bear discover how tasty they are and destroy the trees getting to them. 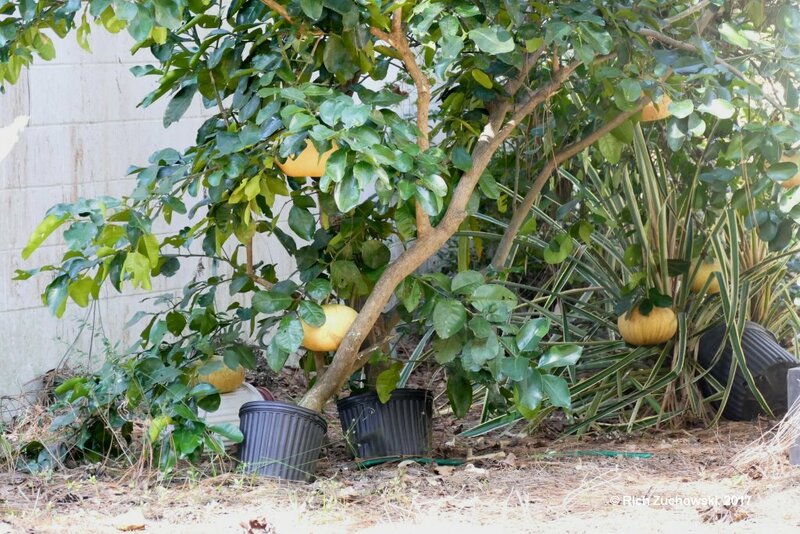 The large fruits in the first two pics are of Connie's Pomelo tree. She has 10 fruits this year. We bought that tree and a Dancy tangerine a long while back and just set the pots between two buildings planning on finding a spot to plant them when we had time. Well, they stay there a LOT longer than we had planned, and I guess they are there for good now. 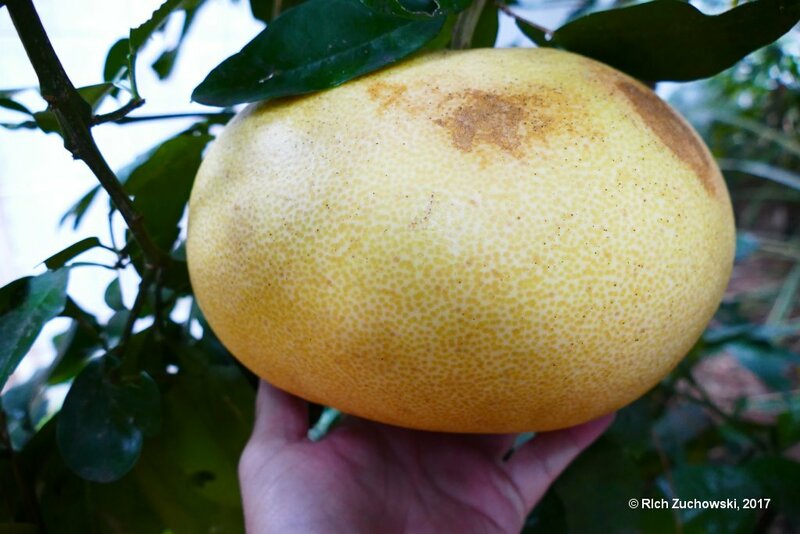 The spot happens to be pretty protected, which allows the Pomelo to do so well, I guess. Connie is ecstatic about getting as many fruits as she has this year. It takes her about a week to eat just one of them, though. They are REALLY big! They should be ready to eat in about three weeks or so, if last year was any guide.